Unlike some folks, I only write the occasional post about televised pop culture, in spite of the fact that I watch too much. What can I say, I’m a child of the sixties, and a latch key child to boot. 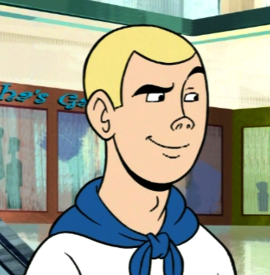 That being said, a steady pre-pubescent diet of 60’s action cartoons, like Jonny Quest, was perfect preparation for appreciating the genius that is The Venture Brothers. I’m making this sound like some oh, so, serious graphic novel, or the self important outpourings of some graduate student’s pop culture fevered brain. Nothing could be further from the truth. This series is comedy gold. I mean, bust up, squirt your drink through your nose, gasping for breath, funny. Because it is smart and snarky and self reflexive and mines deeply into the pop cultural strata, not in spite of these things. The more you know, the more you think about it, the better it becomes. 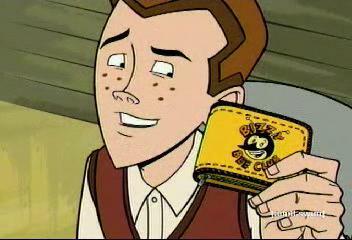 As funny as ATHF is, it’s kid stuff compared to The Venture Brothers. This is definitely a series for my Amazon wish list. I agree. It’s the best thing on CN right now, even though I have this feeling that the art looks a little “looser” than it did earlier. Maybe that’s just me. Regardless, few shows have made me laugh as much in recent years. The episode with the double-date remains one of the funniest bits of TV I have have ever seen.